Are you still subscribed to our newsletter? It could be that you are no more registered. Indeed, in order to comply with the GDPR, we had to partially replenish our subscriber lists. Check here if you do not need to re-register. A really social media, one where we can freely express ourselves and where we alone control the content, is the problem. It must be stopped at all costs. 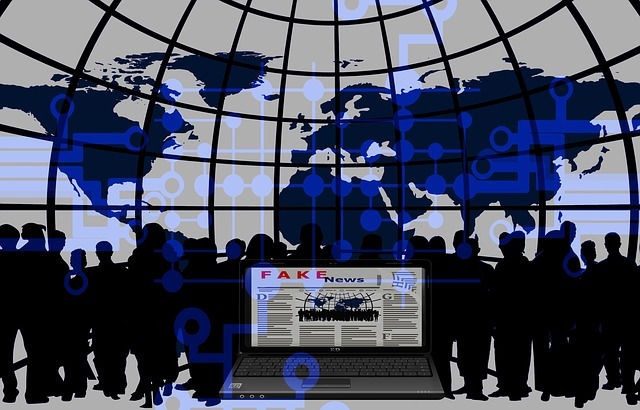 First, it was “fake news”: the suggestion that social media is uniquely damaging to democracy, rather than the corporately owned media that feeds us constant lies, including the egregious deception that WMD existed in Iraq, and selects self-serving political priorities, such as that Russia’s Vladimir Putin is the biggest threat to the planet’s safety (Donald Trump and climate breakdown are far bigger threats right now). The latest concern is “trolling”. The UK’s Electoral Commission wants to ban people from voting over bad online etiquette. How will “trolling” be defined? We don’t know yet, but you can be sure it won’t encompass someone like Tony Blair, who trolled some 40 million British voters, then ignored their views, to take us into an illegal war. Behind the scenes, social media platforms are advanced on creating new algorithms that will increasingly hide dissenting sites from view for all but the most committed to finding them. These are the first shots in a coming war for control of the internet. Don’t be fooled by arguments that fake news and trolls are to be found on social media. Of course, they are. That is the price one pays for democratic platforms. There will always be people who prefer abuse or mischief over rational discussion and good manners. But the panic about fake news and trolling is not driven by a sudden concern about media deception and misinformation. That has always been with us. It is about who gets to decide what is real and fake, and who gets to be abusive. It is – and always has been – about power. Once, not long ago, the only media choice you had was to select your source of propaganda: the Sun, Telegraph, Guardian, New York Times, USA Today, National Enquirer, BBC, CNN etc. If you read a paper and felt strongly enough, you could write a letter to the editor. The paper decided whether you would be one of a dozen people whose views got aired that day on the letters page. That what was “media” meant. There were no websites, talkbacks, below the line commentaries, blogs, Facebook or Twitter. It was a one-way process. The corporate media told you what was happening, and you listened. There was a consensus only because it had been manufactured through ommission. Now that consensus is breaking down. Certainly, the freedom to speak and think has gone to our heads. It can lead us in all kinds of directions, good and bad, as we try to use these newly discovered muscles like a baby learning to crawl. The corporate media, and the political class they serve, hate this development. We do not have long. We need to defy the evolutionary process, moving from toddlers to teenagers and adults in record time. Do not mistake the political and media elite for doting parents, concerned with our welfare. They are not trying to help us get on our feet and walk. They want us back in our cribs, gurgling and cooing.